A good pair of winter boots is a staple in every shoe collection. EMU Australia offers a wide selection of snow boots to keep your feet warm and cozy all winter long. 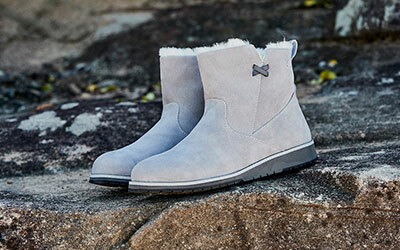 Made with water resistant and breathable 100% real Australian sheepskin, our snow booties are the perfect winter shoe. All of our ladies’ boots come in a variety of colours such as black, grey, brown, navy and pink. The key to surviving cold winter weather is a reliable pair of winter boots. EMU Australia women’s snow boots blend fashion with practicality – because your feet shouldn’t have to settle. Our waterproof and water resistant ladies styles are insulated with hard rubber soles for maximum durability and support. We offer a range of wool lined flat and heeled styles that are perfect for everyday use. Whether you’re bracing the snow or staying inside and huddling around the fire, EMU’s got you (and your feet) covered. 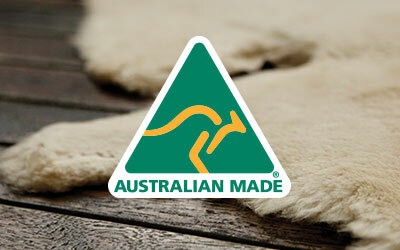 EMU Australia winter boots are made of the highest quality natural materials. Select styles are made from our 100% real and water resistant Australian sheepskin, ideal for those cold winter months. We also offer a variety of waterproof leather and suede styles for all of your winter weather needs. Winter can be long, and you don’t want to be stuck wearing the same shoes for months on end. At EMU Australia you have a wide variety of colours and styles to choose from, so you never have to sacrifice style for function again. We have classic colours like black, brown, grey and tan for everyday use, and bold colours like metallic silver and bubblegum pink for when you’re feeling festive. EMU Australia snow boots come in a variety of classic styles that are perfect for all of your winter destinations. Whether you live in a cold weather place or just like to travel, winter boots are a must. Our winter shoes are great for keeping your feet warm and snug after a long day of hiking or snowboarding, or even just spending an evening at home. Our 100% real and natural sheepskin is breathable, making them a great option for transitioning from indoors to outdoors. Check out our selection of winter booties in stores and online. Visit one of our suppliers or order from our website and get free shipping with your purchase.